Consumer shopping is evolving at a phenomenal pace in retail today. In an increasingly mobile world, consumers are shopping using smartphones and tablets. Brands are also changing the way they reach their target audience via mobile advertising. It goes without saying that mobile technology has caused major disruption in the retail industry. This trend gains prominence during the holiday season. According to Adobe Analytics report, mobile traffic increased with more than half (51.4 percent) of traffic originating from smartphones during holiday season alone yet mobile accounted for just 31 percent of revenue. This confirms that retailers have to crack the code on improving mobile conversion rates and the complexity of building and optimizing experiences across channels. PWA provides a set of best practices to ensure a web application functions similar to a desktop or mobile application. The whole objective is to have an experience so uniform and seamless that the user is unable to tell the difference between a PWA and a native mobile app. 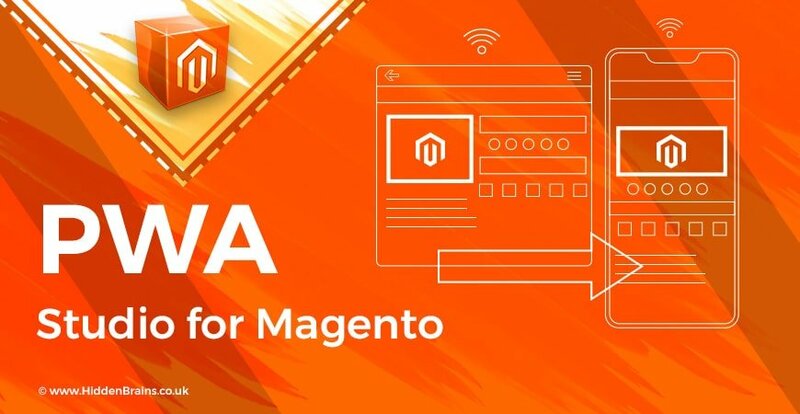 Magento’s recently released Progressive Web Applications (PWA) Studio allows building online stores with app-like experiences. PWA helps ecommerce store owners and companies, providing Magento development services to deliver personalized as well as omnichannel experience across different mediums. With the goal of creating a perfect omnichannel experience, Adobe, parent company of Magento is adding PWA. This is ultimately helping ecommerce sites of all sizes right from small business to large portals make a formidable presence in the market. The goal is to give the best of both web and mobile app worlds. Whether it is the ubiquity of mobile apps or searchability of the web world, PWA studio aims to deliver experience to drive customer loyalty and make the purchase process seamless and effortless. While Magento may have grown, Adobe aims to develop Magento as a premier cloud-based eCommerce platform embracing technologies to better serve online shoppers. PWAs offer push notifications features and location to be built into the architecture, making it relatively easy for all brands to deliver highly personalized omnichannel experiences at the right time and at reasonably less cost compared to a mobile app. PWAs are gaining popularity and their impact transcends beyond the world of mobile. Native apps are specifically created for operating system and leverage device features to provide frictionless shopping experience to users compared to desktop. However, the problem is that mobile app development can be expensive and difficult to build and maintain. Furthermore, customers are not inclined to download apps for each and every brand or ecommerce store. Instead, customers prefer to download apps of brands they regularly interact with. Statistics indicate that brands find it hard to make a breakthrough and difficult to convince even a fraction of customers to download their app. This effectively means that mobile website handles a major chunk of customer interactions. Enter PWA Apps: These apps aim to deliver mobile app like experience in web browser. Instant “App” Discovery – Progressive web apps increase the chances of discoverability via the browser, eliminating the need to install the app in order to use. Push Notifications – PWAs support push notifications (on Android devices) in the browser. This allows marketers to deliver highly contextual, real-time, and personalized communications with a simple opt-in from the PWA site. Re-Engagement – PWA can be “saved” to the home screen (on Android devices). This lets rapid access without the need to open the browser and type in a URL. Furthermore, PWAs operate in “full-screen” mode, hiding URL bar on the top and the browser navigation tools on the bottom of the screen. These elements offer a native “app-like” look and feel. Retailers can provide enhanced in-store capabilities into PWA such as native integration with device camera to scan barcodes and integrated payments with Google and Apple Pay for in-store purchases. PWA’s in the store can be accessed via the browser quickly. Retailers don’t have to connect consumers with their in-store wi-fi to deliver a great mobile experience. PWA can widen the horizons when it comes to retail operations and replace legacy POS systems and retail associate platforms to locate products both online and in-store, checkout, and service returns. If you are looking to leverage PWA suite for ecommerce site, please get in touch with our team. PWAs ability to work on both iOS and Android with the same code base can bring down production costs. It will also help in delivering updates faster and with less hassles.